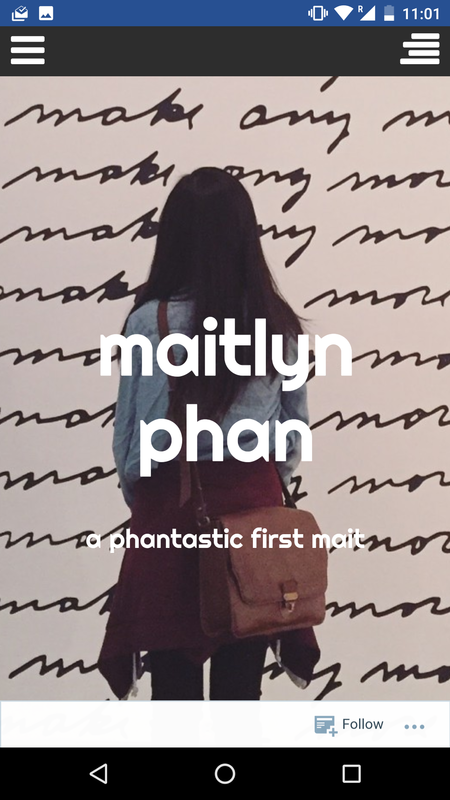 Brand Journal #6: Maitlyn Phan, The Brand – m.o.c.h.a. Personal branding proposal including: core brand values, positioning, brand mantra, brand name, logo, slogan, URLs, etc. This personal branding assignment was considerably more difficult than I expected. Not that it was a particularly demanding task in terms of deliverables, but the mental demand of self-analysis is always higher than for an academic or professional case study. 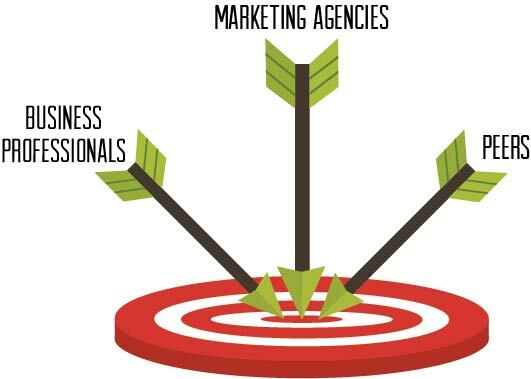 I figured it would be relatively easy to apply my learning of branding, positioning, and marketing from the course to myself and that I would be able to produce the necessary brand elements in a matter of minutes. But of course, my confidence in knowing who I am and being able to pinpoint the exact aspects of myself I want to emphasize publicly was mistaken. The target market, brand name, and URLs/social media usernames rolled off easily. I want to market myself professionally to marketing and business opportunities and personally to peers. 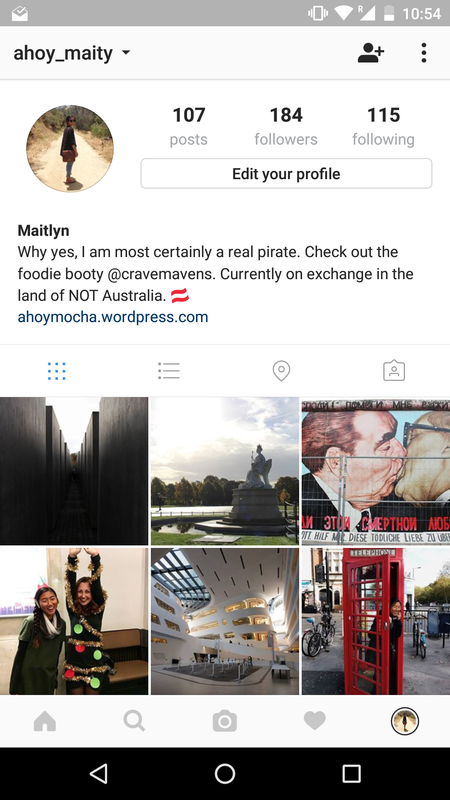 I have coveted my ahoymaity username ever since I thought of it years ago because it easily communicates so much about me as a person. I love my name (I even wrote a post about my relationship with my name on this blog) and I love puns. Catchy, humorous, and inclusive of my name, this username and now brand name is perfect. My wish is for all of my social media and online presences, aside from my professional webpage, to use the ahoymaity brand. personal website | like the puns? Next up, core brand values. Everyone has values. Every (good) brand has values. The difficult thing is to parse it down to just about three of the most important values that can encompass everything the brand is about (or wants to be about) and guide all future activities that reflect the brand. Disney’s values include innovation, creativity, and entertainment. Google is all about focusing on the consumer, being fast, doing good, sharing information, and always improving. Coca Cola emphasizes leadership, collaboration, integrity, accountability, passion, diversity, and quality. Mine were difficult to define for a while because I care about many things that overlap and differ in importance. 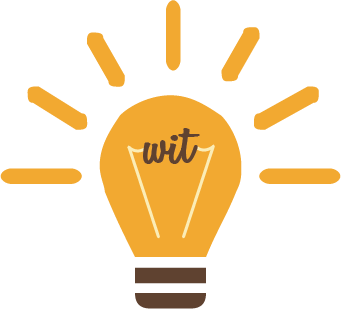 After much mental strain, I chose wit, integrity, and curiosity because they encompass almost all other values. As I have mentioned, I appreciate good humor, and I think I can be quite funny, so having a lightheartedness and tongue-in-cheek personality coupled with intelligence is extremely valuable to me and something I strive to exude. I am a severely sarcastic person and a lover of pop culture references, which effectively communicates this value and bolsters my brand. 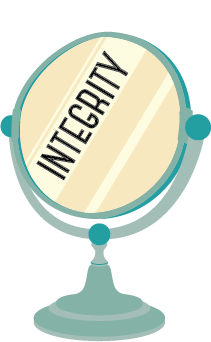 Integrity is extremely important to me because I hold myself to certain standards and expectations I must live by. Aside from being honest with the world, I must be honest with myself, live authentically, and be flexible to changes in who I am. Lastly, I value curiosity, a thirst for knowledge and growth. I love learning and I love obsessing over media as well. This value translates well to professional and personal aspirations and I try to maintain and cultivate my curiosity as much as possible in order to improve and grow as a person. I got stuck on the brand mantra so I moved on to positioning. This was rather simple since I tackled the task with a professional mindset. How do I want employers to see me? What do I want professionals to think of me? Where should I be on the perceptual map of the market for business school students? The issue with using this perspective to determine my desired positioning is that nearly all people like me (undergraduate business students looking for employment in management, marketing, etc.) want the same positioning: quality work, efficiency, quick learning abilities, dedication, and passion. What sets me apart at least is my dry humor and desire to imbue my personality, my touch, in everything I do. My voice needs to ring through all my work, no matter where I work, which brings me to my slogan, a fun inside joke from high school as well. Give it the Maitlyn Seal of Approval. In junior year of high school, my friends and I made boats out of wood and paper that could carry a person across the campus pool without breaking. We completed four boats in three days and painted each one with a golden checkmark and the letters MSA, Maitlyn Seal of Approval, since each earned the highly esteemed approval of a very discerning person, me. Every boat sailed across successfully. And now my slogan represents my relentless desire and efforts to meet and surpass my high standards for everything I do. I do not always produce work I am satisfied with (an impossible feat) but I endeavor to make every effort a moment of pride. I ultimately chose Always Phantastic Results because it has my favorite thing in the world: a pun with my last name. I love my last name; it is a moniker of my cultural roots and provides rich fodder for punny hilarity. The dedication to quality is self-explanatory. To put my words into action, instead of simply listing out my various personal branding elements in presentation slides, I made simple graphics for each element to fully communicate who I am. Now the hard part is making sure I implement strong communication strategies to promote my brand across the entire “consumer journey.” That starts with refining all my digital presences and then determining new ways to improve and differentiate myself from all the other yuppies. It will be difficult but as long as I keep my “Maitlyn-ness” I should be fine. Then again, what is “Maitlyn-ness” really? I don’t think I will ever be 100% sure. I’m still learning so much and changing all the time. Who knows? Maybe I’ll hate all my puns in five years time. I hope not.